Can One Partner in a Partnership File for Bankruptcy? Partnerships are business enterprises involving two or more people. Each member of a partnership places "skin in the game" in forming the partnership – money, labor, property or expertise. Partnerships and individual members of partnerships facing financial distress may file for bankruptcy, although doing so often has far-reaching consequences for the partnership. The Uniform Partnership Act of 1994, also known as the Revised Act or RUPA, establishes default provisions that control partnerships, along with state law. In addition, state law allows partners to establish a partnership agreement to control the affairs of the business. Partners may include provisions in the agreement stating whether, when and how a general partner can place the partnership into bankruptcy. The partnership agreement can also state how the partnership handles individual partners filing for personal bankruptcy. There are two basic levels of partnership: general and limited. General partners are involved in the day-to-day operation of the partnership. Unlike corporations, partnerships are not independent entities – general partners are personally liable for any financial obligations of the partnership and share in any profits, which are either divided equally or proportionally, depending on the terms of the partnership agreement. By contrast, the role of limited partners is restricted to contributing money or assets. Limited partners do not share in the day-to-day management of the partnership, and their financial liability is limited to the extent of their investment in the partnership, although they may share in a partnership's profits. Partnerships in financial distress may file for bankruptcy protection under Chapter 7 or Chapter 11. Any general partner may file a bankruptcy petition on behalf of the partnership. Chapter 7 bankruptcy effectively ends the partnership and liquidates its assets. 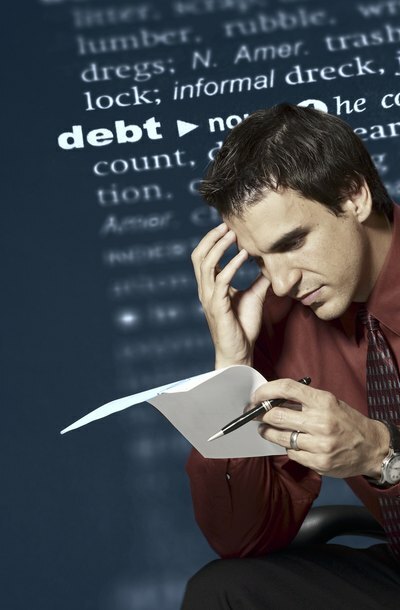 Unlike individuals, however, partnerships do not receive a discharge of their debts. Chapter 11 bankruptcy reorganizes a partnership's debts and allows the business to remain in operation. Filing a bankruptcy petition for a partnership often provides little benefit, because individual partners remain liable for the partnership's debts. Creditors can simply pursue general partners individually for money owed by the partnership. Individual general and limited partners may file bankruptcy petitions for both personal and business debts. Many states do not allow the trustee assigned to oversee the partner's bankruptcy petition to sell partnership assets to satisfy an individual partner's debts, although the trustee may be entitled to redirect profits received by the partner toward paying creditors. However, under the default provisions of state partnership laws, the filing of a personal bankruptcy petition by a partner is regarded as an act of dissociation from the partnership. This means that the other partners may buy out the financial interest of the partner filing bankruptcy so that the partnership can proceed without being encumbered by bankruptcy proceedings.